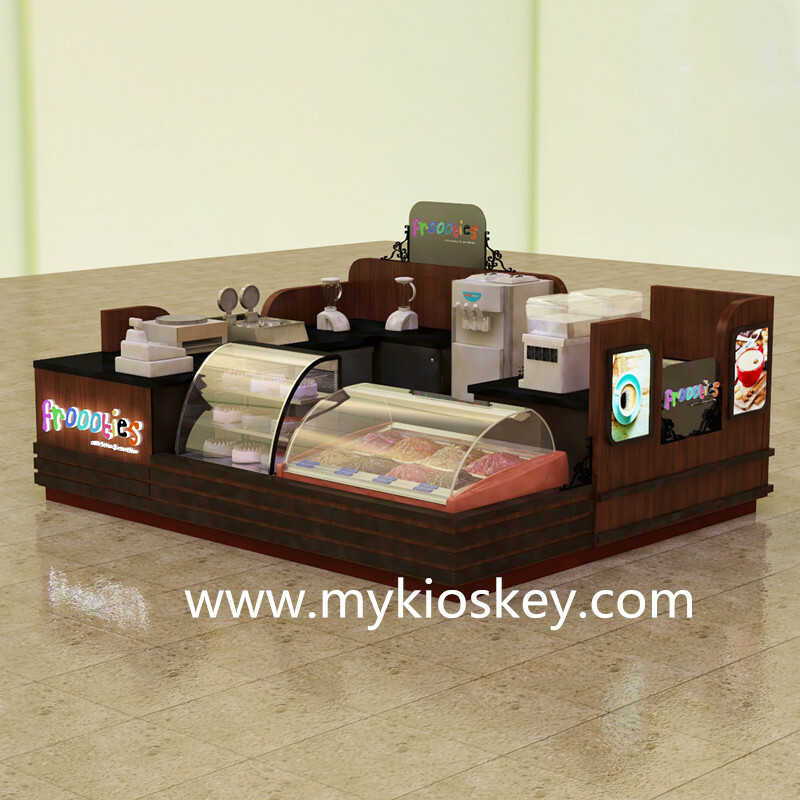 Foods kiosk is very popular in many different shopping mall or own store , it mainly for candy , crepe , corn , juice , ice cream , coffee , frozen yogurt , bakery and other food snacks service . 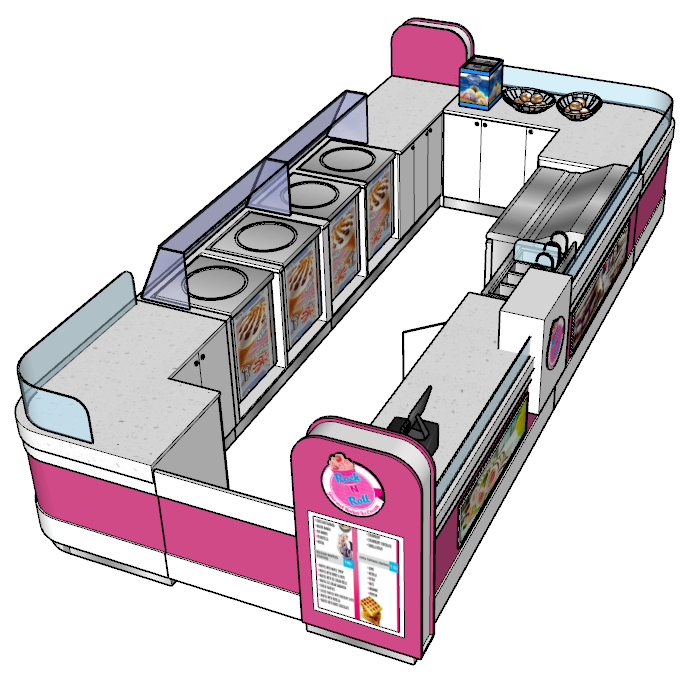 today the one i wanna introduce is a popular ice cream kiosk . 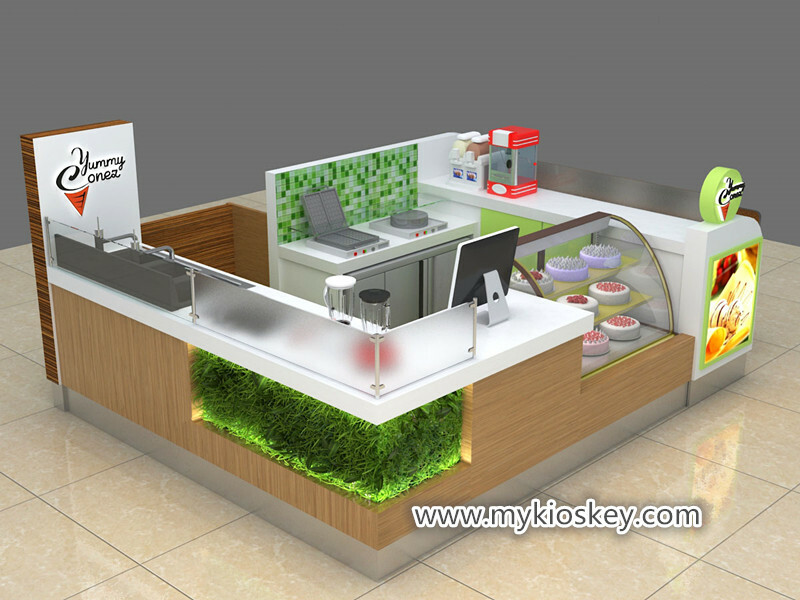 if you interested in start your own mall food business , pls follow me see more details at below . 1. 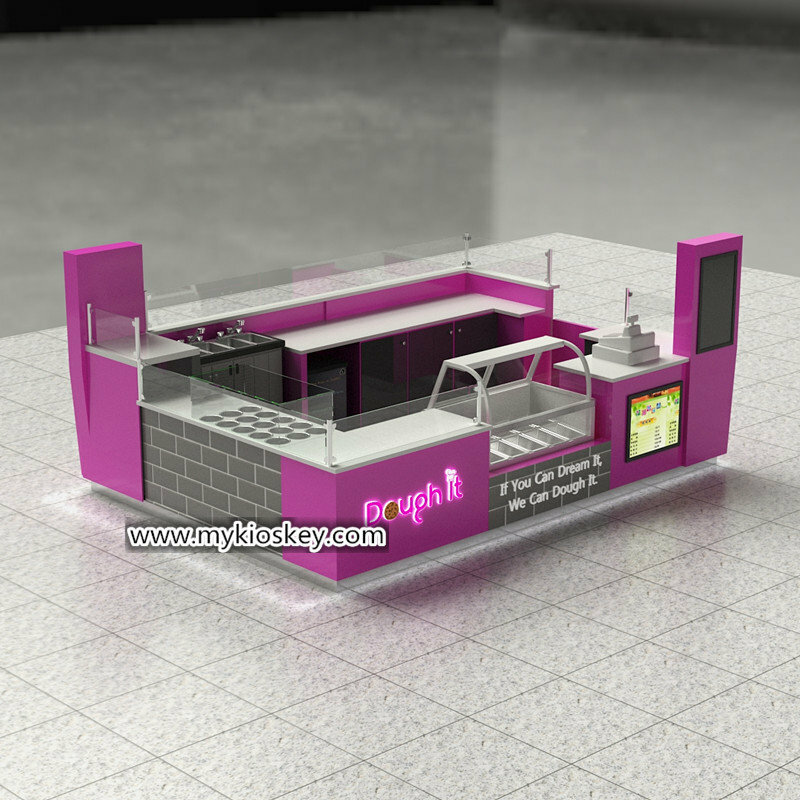 More introduce about this ice cream kiosk . Color : white , grey, purple . 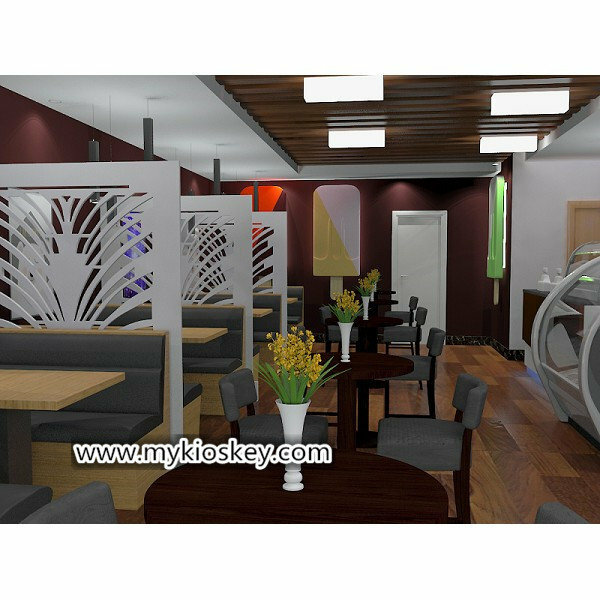 Material : Plywood .laminate , tile . Accessories : light box , acrylic . 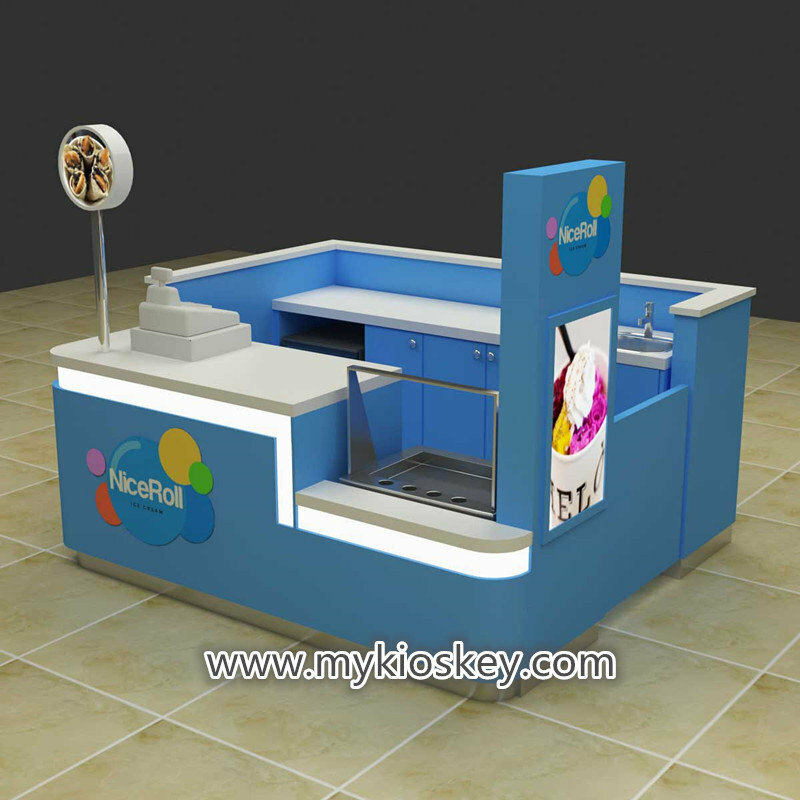 You can see this ice cream kiosk is very simple and modern , total is 4m by 3m , basic material is plywood , surface is laminate and tile decoration . 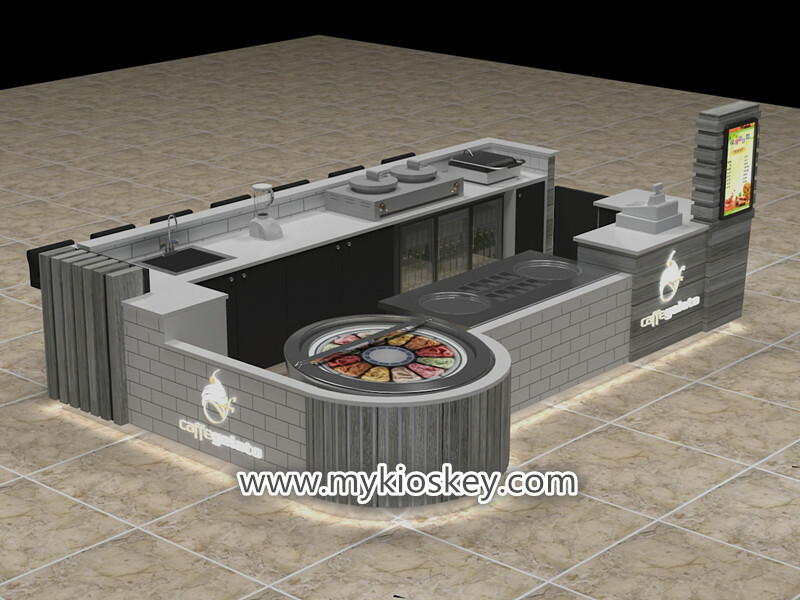 white man made stone worktop. 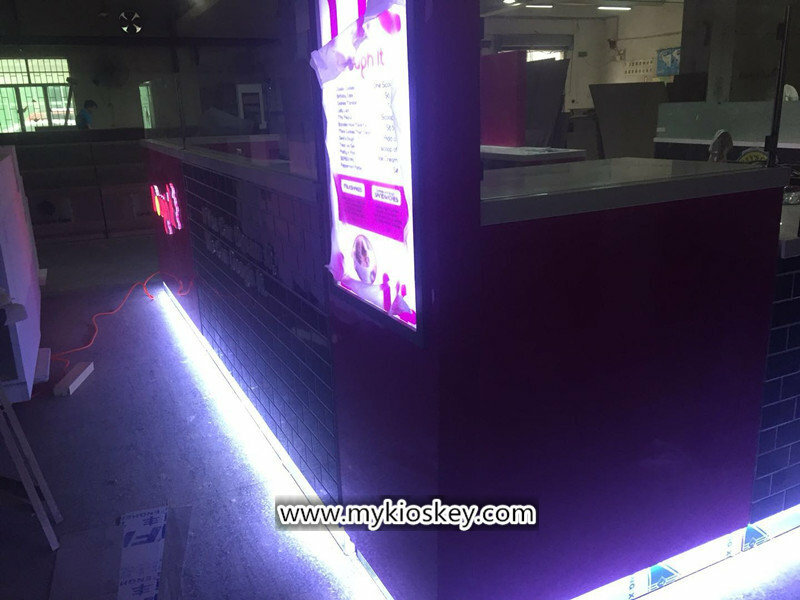 wooden cabinet , stainless steel skirting with white led light strip . 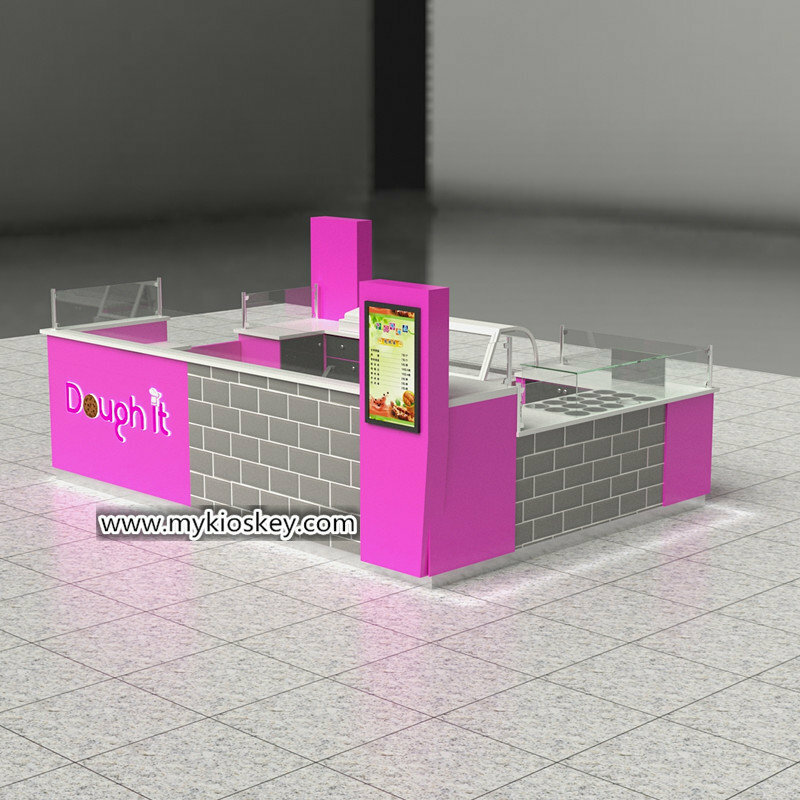 the front of this kiosk with a ice cream display fridge and a small cash register . 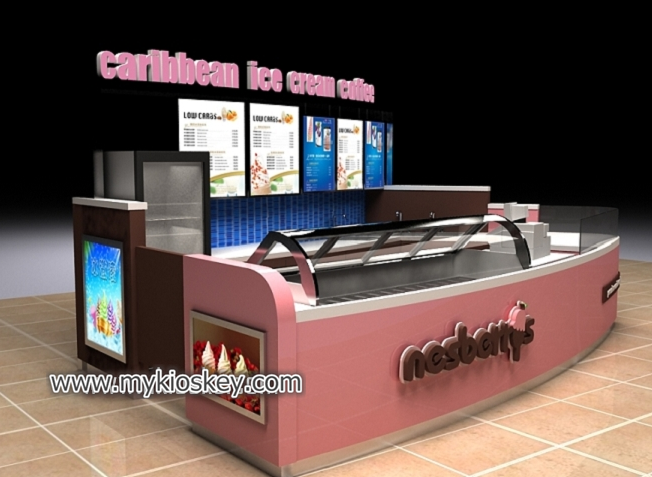 the left sides is topping area with stainless steel container box and glass cover . 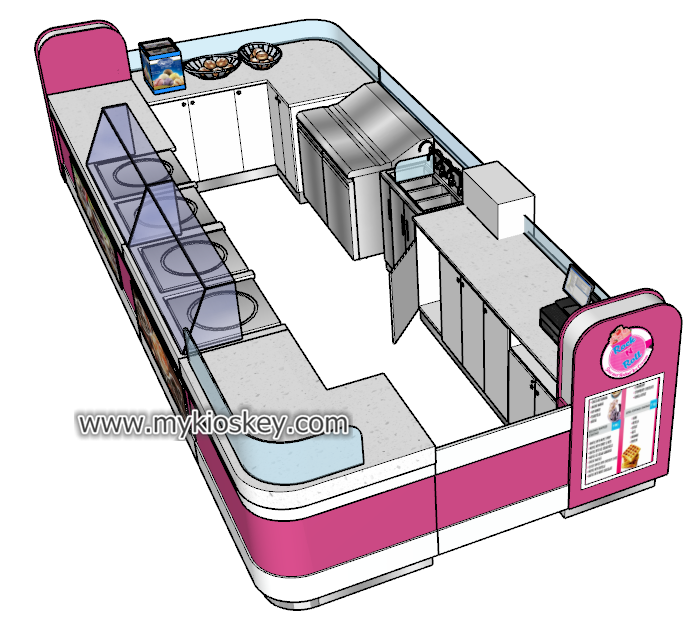 the bank sides is a four whole stainless steel sink and a undercounter fridge . 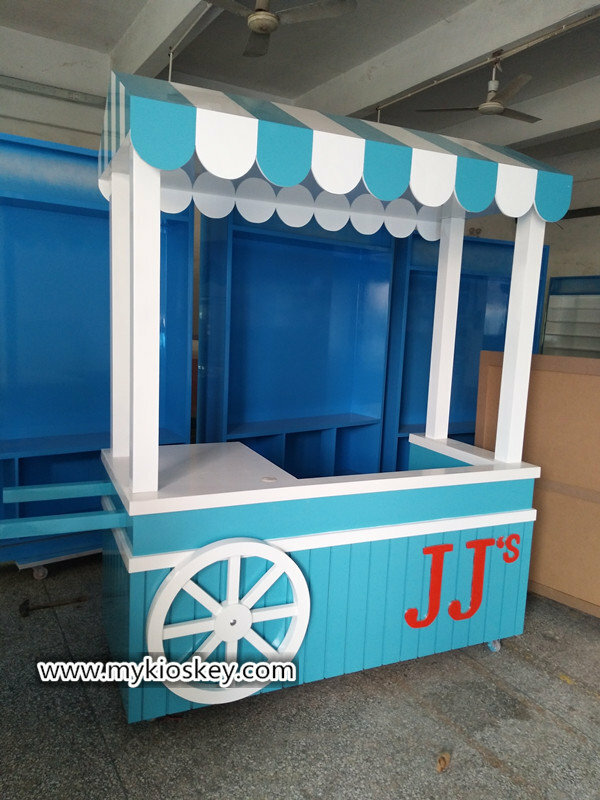 some wooden cabinet for storage . 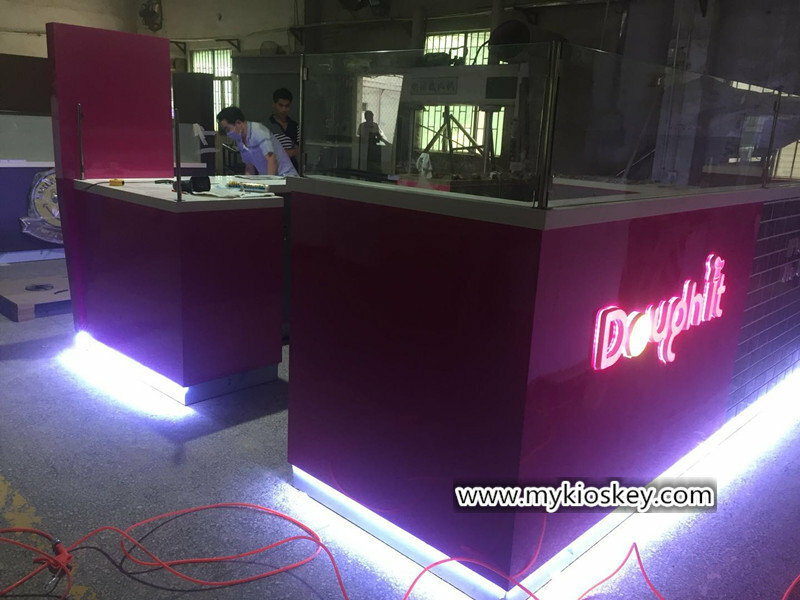 2.Some real production photos for your reference .